Are you thinking of enhancing your smile? Perhaps your teeth are discolored, worn down or chipped/broken?Perhaps your teeth are badly aligned, irregular or you have a diastema(a gap between teeth)? Dental Veneers (ceramic veneers) can be the good solution to sort out these problems.They are thin ceramic shells which are cemented to the front teeth. Only little amount of a tooth enamel (1.3-1.5mm) needs to be removed to prepare a tooth for veneer. After preparation, a dentist at Modern Dental Care will take a print of the teeth and will send it to our ADB dental laboratory where dental veneers will be fabricated. Whatever your reasons, you should know advantages and disadvantages of dental veneers. Natural teeth appearance and resistance to stains. 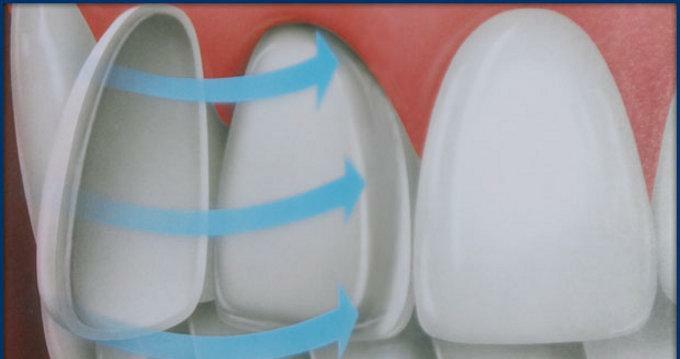 Longevity of dental veneers (ceramic veneers) is about 10/15 years. Dental veneers make your teeth stronger. 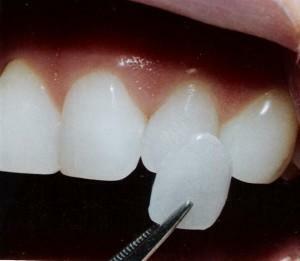 Ceramic veneers can be more expensive than composite bonding. They may have different shade in compare with the color of your natural teeth. If you want to do teeth whitening you should have it done before dental veneers procedure. 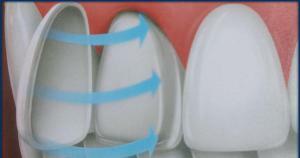 If you grind your teeth it can cause them to chip or crack course of pressure.In this case, veneers cannot be fixed.